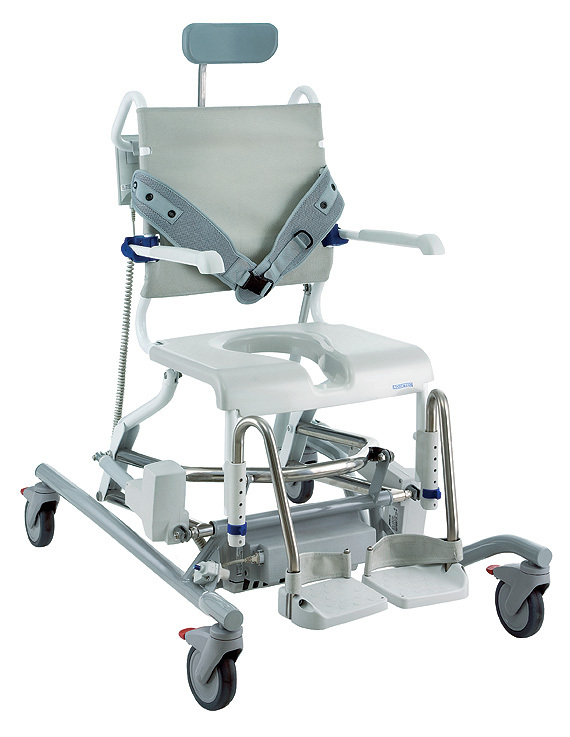 Aquatec's Ocean E-VIP tilting shower/commode chair is easy to use and highly adjustable for the greatest possible level of safety, comfort, and functionality. From the smooth, strong gas springs of the tilting mechanism to the thorough rust-proofing on the smallest metal components, the quality of design and construction is just outstanding. 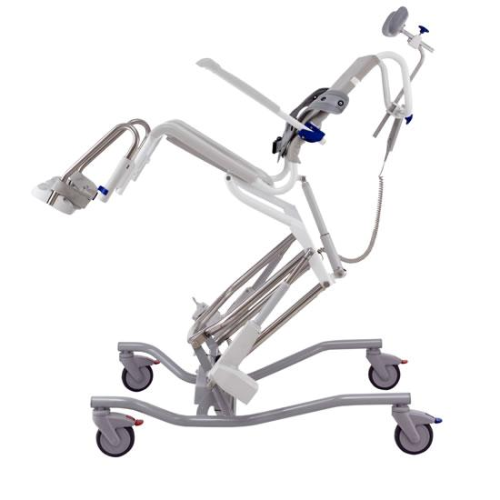 This is one of the most adjustable shower chairs on the market today and it also allows for an impressive tilt angle of up to 35 degrees- great for those who need real pressure relief, and their carers. It's powered by a rechargeable battery pack. German Design - The Oceans are designed by engineers at Aquatec in Germany – an Invacare-owned centre of excellence for the development and manufacture of hygiene products. 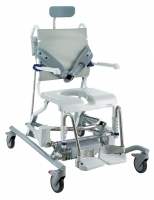 Ease of use - Aquatec uses high quality castors meaning the Ocean chairs can be pushed with ease, improving comfort for the carer and patient. The gas spring on the VIP is very powerful, so angle-adjustment is smooth and requires minimal effort through use of a lever. Unprecedented adjustability -The chairs all have height adjustable armrests, footrests, and overall height making the chairs comfortable and safe for both patient and carer. High Quality Rust-proof components - All metal parts are made of stainless steel, including the inside and outside of the gas spring on the Ocean.